Music label, Music distribution, Online downloads, film production, film distribution, television broadcasting, Music retailer, Game retailer, Game producer, Internet company. We sell music, distribute music, are a music label, offer online downloads, broadcast music and film, produce film, distribute film, sell film and music retail, develop games, distribute games, license music and film and games and are an entertainment company with an internet presence. 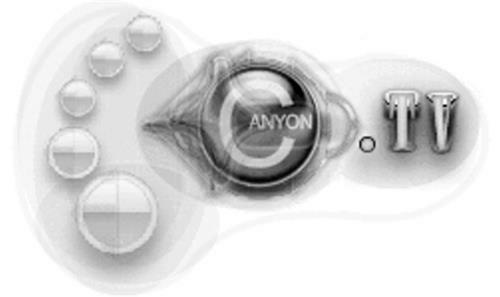 On Tuesday, November 18, 2008, a canadian trademark registration was filed for the above pictured logo by Canyon.TV Incorporated 253 21st Avenue NE, Calgary, ALBERTA, CANADA T2E1S5. The Canadian IP office has given the trademark application number of 1418729. The current status of this trademark filing is Interruption of proceeding. The trademark is filed in the description of Music label, Music distribution, Online downloads, film production, film distribution, television broadcasting, Music retailer, Game retailer, Game producer, Internet company. , We sell music, distribute music, are a music label, offer online downloads, broadcast music and film, produce film, distribute film, sell film and music retail, develop games, distribute games, license music and film and games and are an entertainment company with an internet presence. .
(1) Bubbles, frothy masses -- Note: Including speech bubbles. (1) - Music label, Music distribution, Online downloads, film production, film distribution, television broadcasting, Music retailer, Game retailer, Game producer, Internet company. (2) - We sell music, distribute music, are a music label, offer online downloads, broadcast music and film, produce film, distribute film, sell film and music retail, develop games, distribute games, license music and film and games and are an entertainment company with an internet presence.